Accounting is the most automated function in the modern office, according to Yodle, with more than half of small businesses using some sort of automated system. Further, about 40 percent of these small businesses automate their accounting with online software, according to a Capterra survey. As more companies update their accounting operations, they will be more efficient than in any previous era. Technology has transformed accounting and, today, it’s easier than ever. Accounting is older than writing. Some historians of language believe accounting was one of the motivations for the invention of writing. Ancient Mesopotamians kept track of business transactions by exchanging clay tokens with seals called bulla, representing the items traded. After the Sumerians invented clay tablet writing (after 3,500 B.C. ), they immediately began using writing for accounting, transferring bulla seals from tokens to clay tablets. Of the ancient Sumerian clay tablets recovered, 97 percent of them were used for accounting and other administrative purposes. Meanwhile, as early as 3,300 B.C., the Egyptians were inscribing bones with labels and attaching them to bags of oil and linen as a way to inventory goods. By 4th century B.C., the Babylonians and Egyptians had developed formal auditing procedures for tracking the movement of goods in and out of storehouses. Inventory-keeping techniques continued to advance through the Greco-Roman and Medieval eras into modern times. Today, businesses save time processing inventory by using scanning guns to read barcodes and enter data automatically into inventory and accounting software. Management education expert Ashak Rao estimates that the strategic use of inventory management systems can increase a company’s profitability by 20 to 50 percent. Accounting took a big leap forward in 1494, when Franciscan friar and mathematician Luca Pacioli published a textbook documenting the accounting method used by Venetian merchants, known today as double-entry accounting. The method had been in use for centuries in the Muslim world and among Italian merchants, but Pacioli’s book first committed it to writing for use by future generations. The computer revolution brought another quantum leap to accounting technology in 1979, when Harvard Business School student Dan Bricklin developed VisiCalc, an electronic spreadsheet program. VisiCalc helped turn the microcomputer from a hobby into a serious business tool, creating the means for accountants to tally and calculate automatically. VisiCalc was soon joined by Lotus 1-2-3, which could perform calculations even faster, but the same basic concept continues to underlie today’s spreadsheet and accounting software. Business expense reporting is another area where accounting has seen huge strides, with significant advances in recent years. In 2008, in the pre-app era, expense management was a slow and tedious process. It relied on employees and business owners to keep track of all their receipts and fill out paper expense reports. Human error, lost receipts and untimely employees made for an inefficient system, and cost businesses up to $20 per report to process. Aberdeen Group research has found that businesses can reduce expense reporting costs by 40 percent by adopting mobile technology solutions. One such solution is the Connect to QuickBooks® app from American Express OPEN. Once enrolled, the employer and employees’ business card transactions are automatically sent to the employer’s QuickBooks every day, saving the business steps and time. If the employer is also enrolled in ReceiptMatchSM from American Express OPEN, the receipt images uploaded to ReceiptMatch can be tagged with the employer’s QuickBooks categories, and will be automatically sent to the employer’s QuickBooks, along with the transaction data. With time comes smarter accounting practices. Solutions for streamlined automation continue, further eliminating the need for manual data entry and lessening the likelihood of inaccuracies and mistakes. From accounting past to bookkeeping and expense reporting present, we’re continuing with forward momentum. 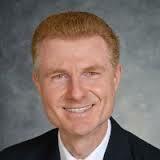 Mario Nowogrodzki is an information systems consultant and instructor. He is the founder and principal of Mendelson Consulting (established in 1992), specializing in QuickBooks and information technology consulting services. The firm focuses on providing a solution-based approach, customized to each client's individual and specific needs. The combination of Mario’s accounting and technology background with the expert knowledge of QuickBooks financial software gives clients an unparalleled edge.